AAA Mr Rubbish Removals can help you will all aspects of your household rubbish removal – from collecting and disposing of your excess furniture, old mattresses and whitegoods, all building rubble and renovation materials. 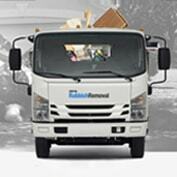 From deceased estates to full household removal we take care of it all for you. We will dispose of your residential rubbish legally, safely and in accordance with all council requirements. Any items still in servicable condition are donated to charity. Whether you live on the top floor of a building or a tiny terrace we have the skills and expertise to remove your rubbish without inconveniencing you, other tenants or neighbours. Our team will come to your premises, provide a free written quote and then arrive on time to take your rubbish away. Our rubbish removalists have been in the business for more than 17 years, and have met every rubbish removal challenge with a can-do attitude. No job is too small or too difficult. We make your life easy by doing all the hard work for you. Call AAA Mr Rubbish Removals on 0437 866 636 today for a free quote. You won’t be disappointed in our price or service.